PUFF AVATAR RS DNA 200 ⚡ FROM ITALY, WITH LOVE! To be honest, we think the boss has gone crazy giving this away but the boss is the boss and this giveaway is the boss of all bosses! The winner of the lottery #964 for PUFF AVATAR RS DNA 200 ⚡ FROM ITALY, WITH LOVE! was Paulo Simões from Amadora, Portugal on Jul 12, 2018. 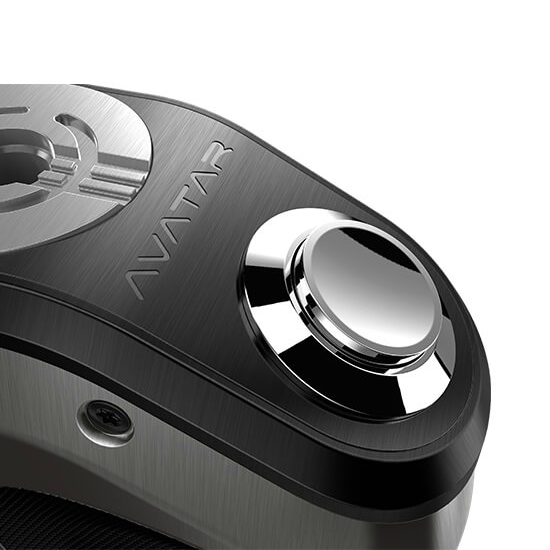 The PUFF Avatar RS 200 is the culmination of all high-end box mods in the PUFF family, made for vapers who know what to expect from their mod (that should read "vapers who know how to work a mod correctly"), who want to stand way, way out from the vaping crowd and are never, ever satisfied with their mods and know a mod can easily be mud if it is not thought out and executed right! 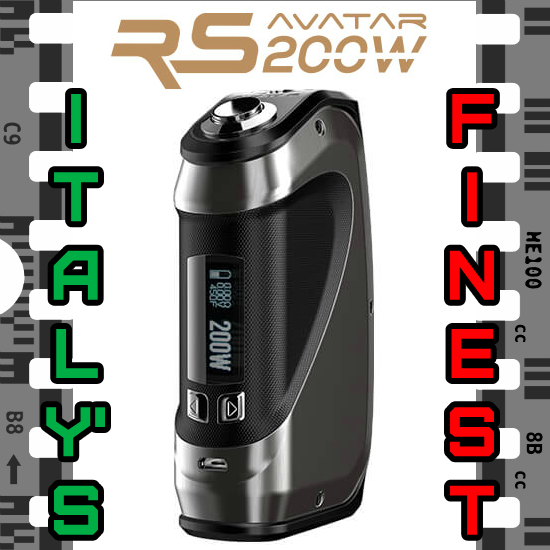 Conceived by the Italian PUFF team with the unerring support of a select group of meticulous and professional vapers, the Avatar RS 200 is designed by Pino Spagnolo, the world famous Italian industrial designer. 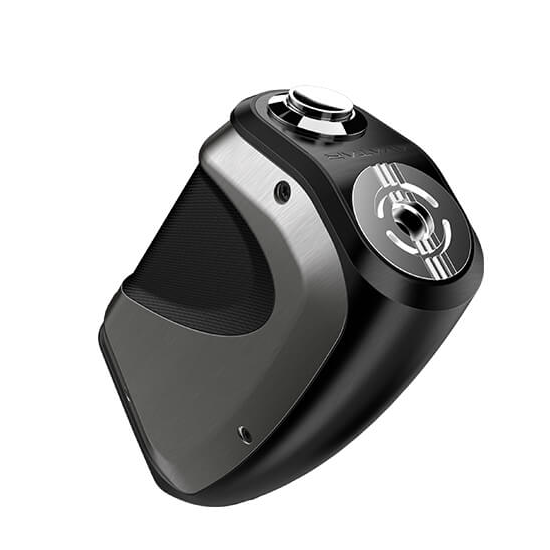 Made using the very best materials on the market with an extremely seductive and ergonomic body, the Avatar RS 200 combines a 200W DNA circuit by EVOLV with a full temperature control suite and OLED screen. 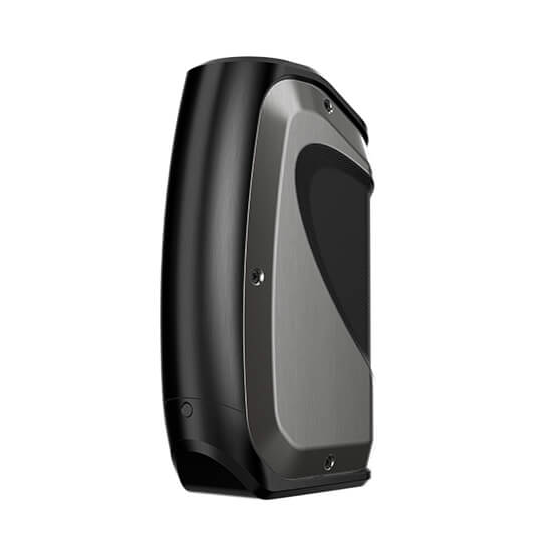 Equipped with three 1500mAh Li-Po batteries, the PUFF Avatar RS 200 has a total capacity of 4500mAh. Ever heard of the term "object of desire"? - that's this guy right here, complete with an Italian heart, soul, and body! DON'T MISS THIS ONE VAPERS, YOU WILL REGRET IT - Honestly though, the visuals and texts can't do it enough justice, just watch the short video below to see what we are talking about - it's totally insane! WANT A BETTER CHANCE TO WIN? SHARE US WITH YOUR FRIENDS USING THE VARIOUS SOCIAL MEDIA BUTTONS ON THE SITE AND YOU WILL GET MORE CHANCES TO WIN - THE MORE YOU SHARE, THE MORE CHANCE YOU GET!